Next in the Little Book, Big Profit series, The Little Book of Big Return,s shows the listener how to profit like the rich from a powerful, proven investment strategy. 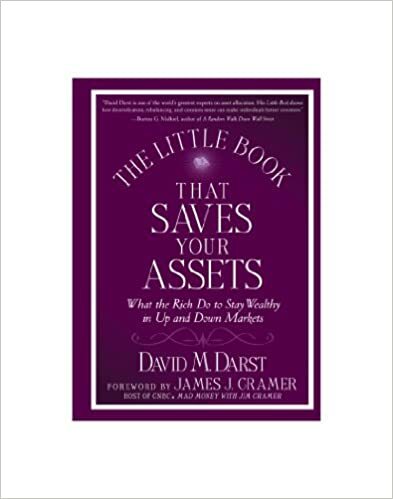 It was written by the leading thinker in asset allocation, David Darst. With somewhat of a dry reputation, the topic of asset allocation has been seen as a concern only to professionals and academics disputing research papers and academic theory. However the reality of the rich and their use of asset allocation tell a different story. Asset allocation is the ultimate determinant of returns and can make the difference between matching the market or beating the market (or not losing in the market). How assets are allocated (stocks, bonds, cash, other mix) does make a substantial difference to the average portfolio, and the wealthy have long used asset allocation strategies to increase their wealth -- substantially. Now these same strategies can be understood and used by anyone.